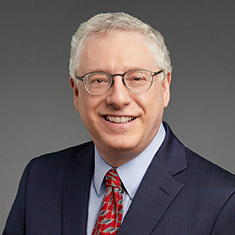 Leonard A. Ferber, co-head of Katten's Technology practice, focuses his practice on technology transactions, representing both technology developers and large corporate users of technology, and on representing manufacturers and distributors of physical products. Len represents early stage and mature software and other technology-based companies and consulting firms in a variety of transactional matters, including strategic partnering arrangements and joint ventures, sophisticated licensing arrangements (both in-bound and out-bound), and technology development and acquisition agreements. These clients include businesses distributing technology using software-as-a-service and platform-as-a-service business models and those seeking to leverage their data collection capabilities. He also counsels major corporations on matters related to technology, such as procuring large-scale software licenses and hardware, outsourcing of technology services and business functions, Internet and social media strategies and privacy issues. Throughout his career, Len has represented manufacturers and distributors of products of all kinds. He continues this representation, lending his experience in technology to companies developing technology-based products and adopting advanced manufacturing processes. Len is active in Chicago's technology community. On a pro bono basis, he has counseled start-up technology companies that are part of 1871, Chicago's world-class early stage business hub. Len has spoken on technology-related subjects before legal and industry groups, including the Illinois Technology Association, the Technology Executives Club, Association of Technology Acquisition Professionals and Association of Corporate Counsel.